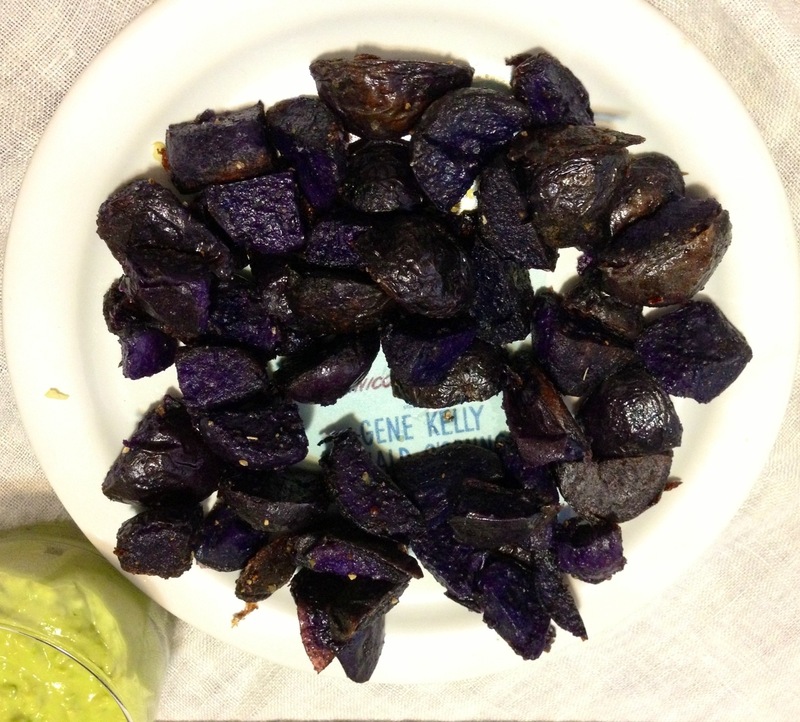 Look closely…and you’ll find those are purple potatoes! 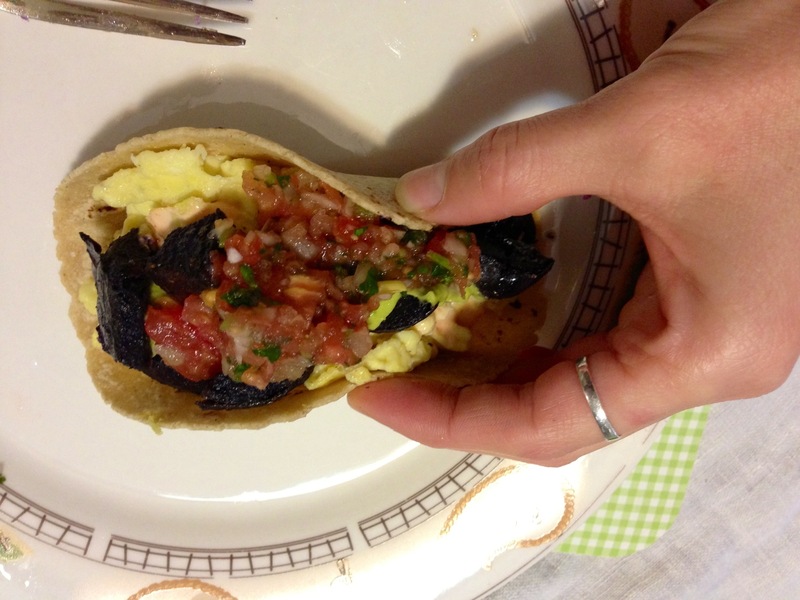 These were delicious flash fried and added to my white corn breakfast tacos (La Tortilla Factory is the only corn taco brand I buy after discovering them up north last year). 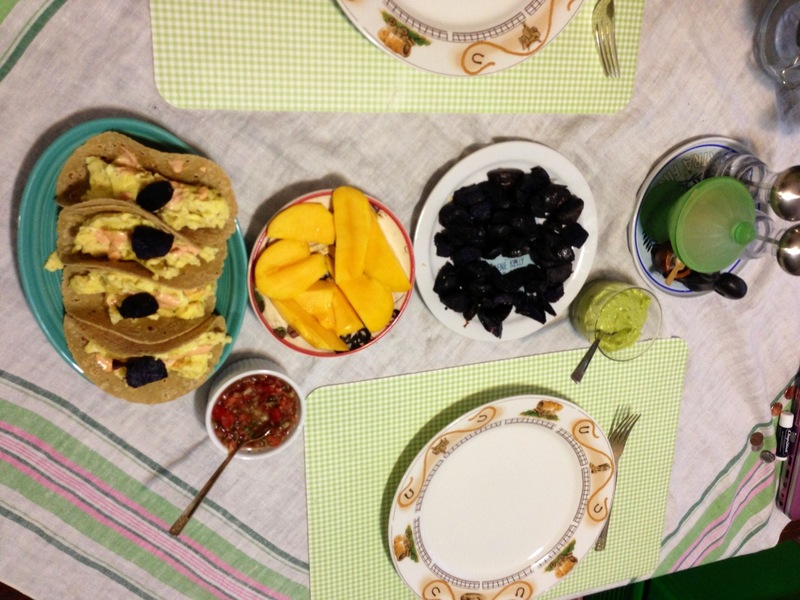 I also made some avocado mango crema and homemade salsa to top them off. Note: Please disregard the poor table setting;) forks, glasses? Purple potatoes? They tasted just like gold ones but maybe a little sweeter ! They are definitely the most interesting looking potatoes I’ve ever cooked and great tasting too for sure.